A few days back I posted about cards I have received from readers that were under no obligation to send back cards. Whether they took advantage of free hockey cards or PWE cards, I mailed and mailed some more, and will mail even more (someday). 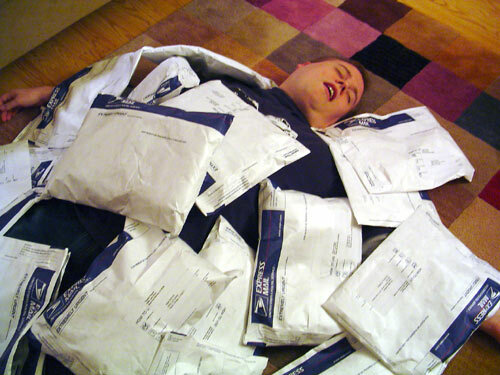 As I mentioned, though, I received plenty of return packages from folks. Like me, some people just want to mail out cards. They snagged the return address and dropped wonderment into my hands. Wonderment.....hands..... Are you actually reading this? Shane, from the amazingly awesome blog Shoebox Legends sent over not one but two envelopes recently. The best part was the care spent in finding the cards to send over. So many needs were met. Like vintage. The Nettles was new. The Garr and Carroll are upgrades over what I had previously. Like binder cards. Finding the base of custom collection cards is pretty simple. When you factor the parallel in, well.... those who have worked on a rainbow know the frustration. I love getting Walmart and Target parallels, since they are usually the cheapest if I was to buy them, but I won't buy them. Like player collections. Tadahito is a foil Turkey Red. Had no clue those even existed. 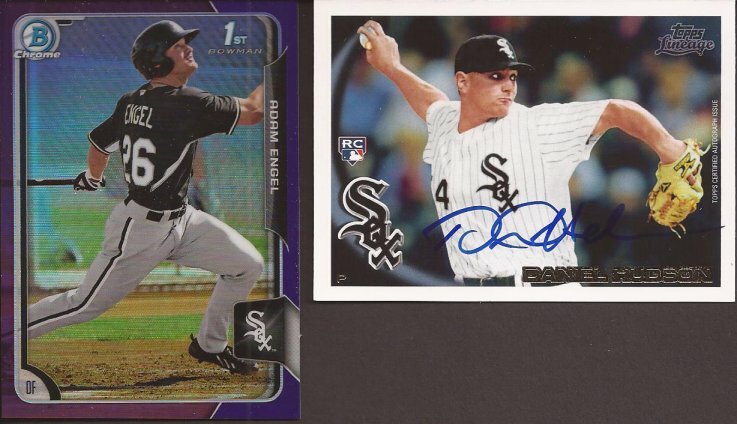 And for all the Paulies I have, here are two I did not have. 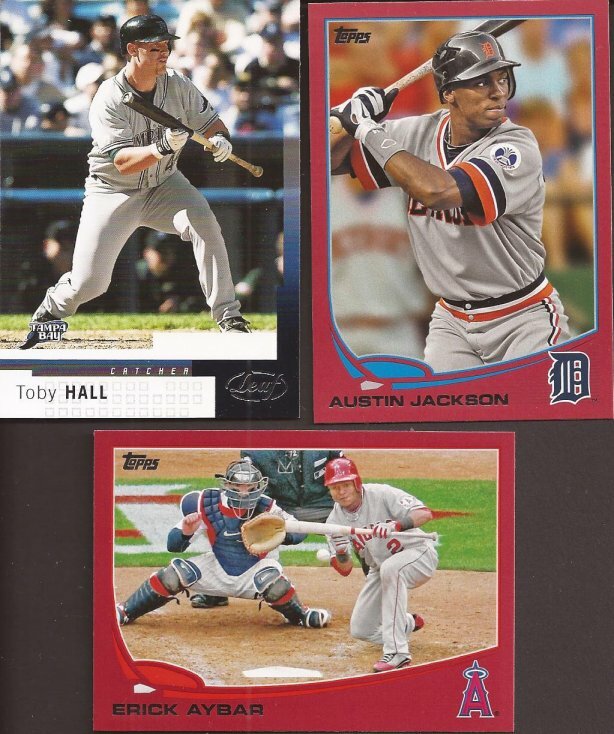 Again, parallels are the worst, but needed if you are a completist. Like relics. I heard Everett can be a bit of a hot head, but I thought he did a decent job in 2005 for Big Hurt when he went down. 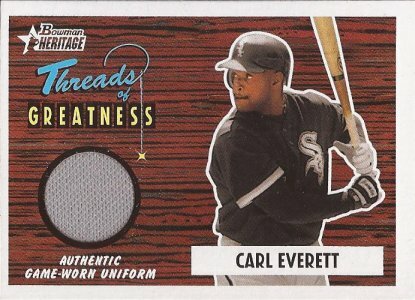 "Threads of Greatness" though may be a bit of a stretch when we are talking about Carl. "Threads of Adequate" might be better. Like shorter run cards. I have to admit that this years Bowman is a far better release than the past 5-6 years of the product. Still ain't completing it, but it looks mighty fine. And my 2nd auto of Hudson from Lineage. He's doing ok in middle relief for the D-Backs. Shane, thanks for the cardboard. Oh, speaking of free cardboard, go visit Bubba's Banging Batch for some free Allen and Ginter. Free is so cool. What can be better than free? Not gonna deny... there's not a single card release I'm looking forward to more than The Force Awakens. Can't wait until December.